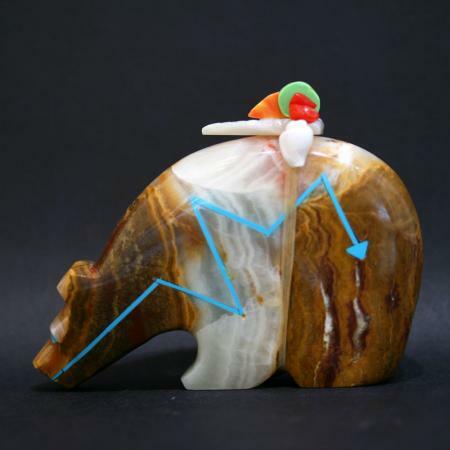 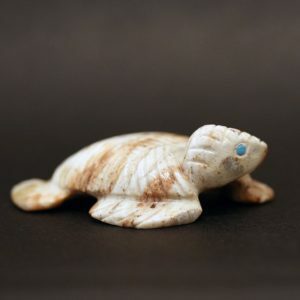 This magnificent bear fetish is carved from onyx by Rodney Laiwakete and inlaid with a turquoise lightning heart line or spirit line. 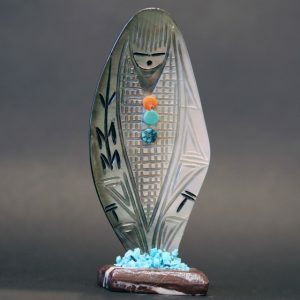 This bear fetish is protected with a mother of pearl arrowhead, red coral, green turquoise and white shell. 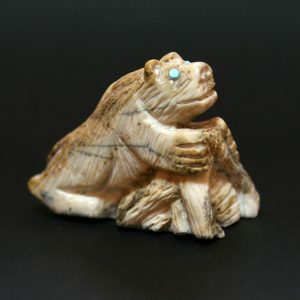 This splendid Zuni bear fetish measures 9cm in length and 7cm in height.